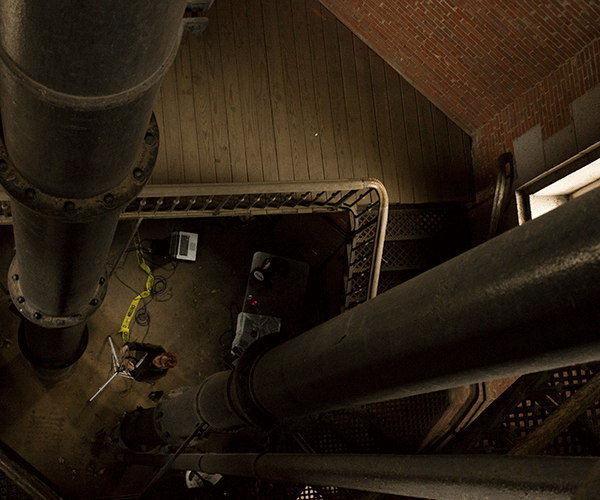 Stations and Resonances will bring together many pieces exploring sites of historical infrastructure in New York City, focusing on its water and train technologies. Historical routes of the Old Croton Aqueduct and the Interborough Rapid Transit provide sounds as well as structural elements to each composition. This performance features the premiere of a condensation of space into light for voice and electronics, performed by Jamie Jordan with original text by Roger M. Grant.